Bovis Lend Lease awarded Taylor’s Hoists the 20 month, £600k contract for the refurbishment of the prestigious, former London Stock Exchange, building. Due to site requirements, the company’s technical abilities were invaluable. 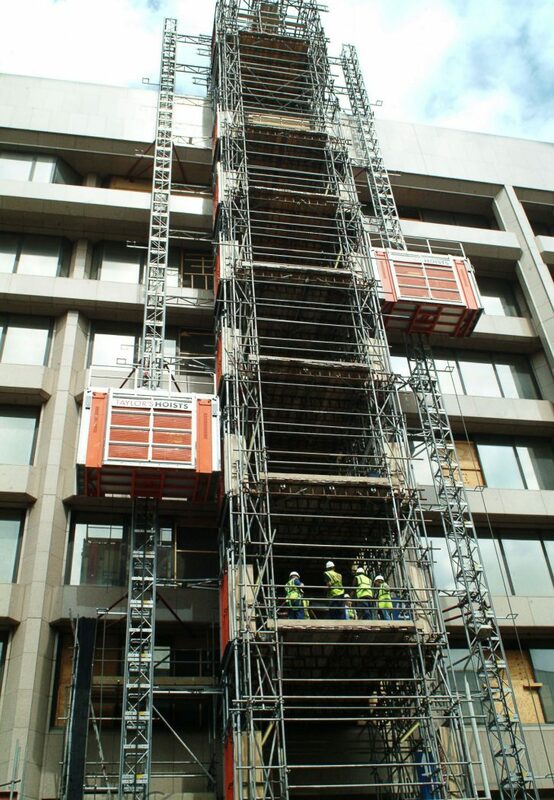 Taylor’s Hoists supplied 4.6m x 2.4m machines, one of the biggest on the market, to transport the project’s vast glazing panels to the required positions around the construction.